During the event called TED in Long Beach, CA, many speakers presented ideas, concepts and new practices to the world for the first time. Though some were outside my realm of use, it was still great to learn where some of the technologies and practices had been developed and how they would impact our lives. One of these ideas that struck home was that of Jinsop Lee’s presentation on charting an experience through the 5 senses. Myself, having been a follower of “The Experience Economy”, found this to be a delightful piece for measuring certain elements of an experience. In the principles of the Experience Economy, touch on all the five senses is essential in delivering a memorable event. 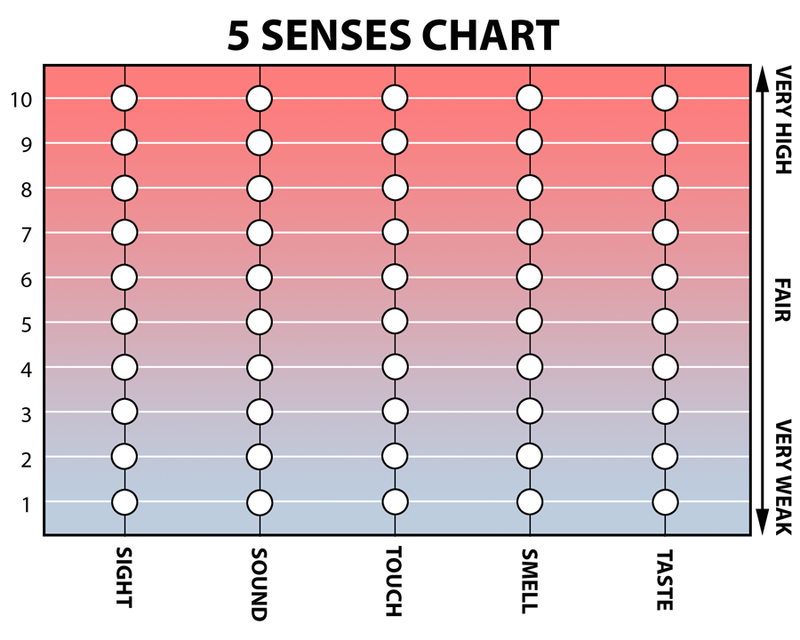 This “5 Senses Chart” may not the definitive method as a universal tool, yet does give a wonderful sampling of an experience as perceived through the senses. Take a moment and see how various Experiential Providers rate on this scale, then take a look at your own offering. How well did you compare?